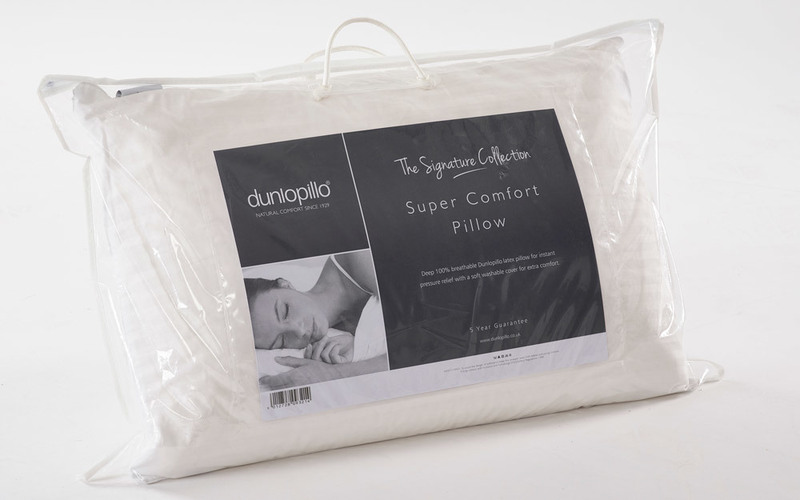 Feel like you’re resting your head on a cloud with the Dunlopillo Super Comfort Latex Pillow. This hypoallergenic pillow feature natural latex to provide a luxuriously deep and firm level of support. Complete with bounce back technology, this pillow has all the credentials to be a comforting surface night after night.